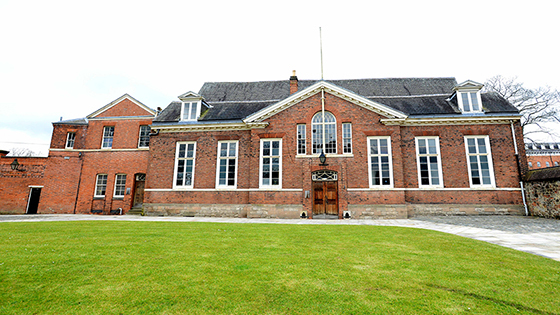 Woodhead have been appointed to transform Leicester Castle into one of the country’s leading business schools. De Montfort University, Leicester (DMU) has agreed a 125-year lease with Leicester City Council to carry out a £4.2 million refurbishment of the historic building, bringing it back into life as the Leicester Castle Business School; a new kind of institution which will train a new generation of industry leaders. Work is expected to start on the building in mid June, the project will be delivered by Woodhead Education with support from their dedicated heritage team Woodhead Heritage. Robert Woodhead Ltd, an award-winning, family-owned construction company with experience in the education and conservation sectors. They have have recently carried out the restoration of Oakham Castle, in Rutland, and multiple projects for the University of Nottingham. Woodhead will bring a wealth of expertise to transforming the Grade I-listed Great Hall at Leicester Castle, bringing this hidden historic gem back into prominent use as the new business school. Throughout history, Leicester Castle has played a pivotal role in local and national events, with its courts in regular operation until the building’s closure in 1992. When the new school opens, high-calibre students from around the world will learn from leading academics in the same place that Richard III rested on his journey from London to York and Peter Pan author JM Barrie reported on court cases for the Nottingham Journal. The Leicester Castle Business School will offer new postgraduate and undergraduate business courses, designed for students who want to stand out in the international employment market. Picture kindly provided by DMU.